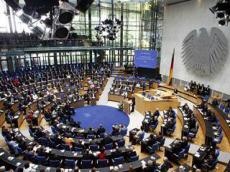 Attempts by the President of the National Assembly of Armenia to achieve his goals in the Bundestag failed, chief editor of the Baku Khabar newspaper and political expert Aydin Guliyev told Trend. On March 18, the 7th symposium on the topic "Security and Stability in the South Caucasus – German-Azerbaijan Cooperation Perspectives", dedicated to the 27th anniversary of the Khojaly genocide, was held in Germany’s Bundestag. It was attended by members of the Bundestag, a representative of the Ministry of Foreign Affairs, journalists, public and political figures. During the same period, meetings were also held in the Bundestag with the President of the National Assembly of Armenia Ararat Mirzoyan. As Guliyev noted, after Armenia’s attempts to establish close ties with the European Union failed, a similar situation can be observed in relations with some leading European countries as a whole. According to him, participation in discussions during the German-Azerbaijani symposium of German MPs, officials of the country's Foreign Ministry, public and political figures, and representatives of the press not only increases the authority of the event, but also negates the effectiveness of the meetings held with the President of the Armenian National Assembly. Earlier, Armenian Prime Minister Nikol Pashinyan was unable to achieve his goals in Brussels, whose attempts to get financial assistance did not bring results, Guliyev noted. "The European Parliament’s adoption of an official document unequivocally supporting the territorial integrity of Azerbaijan was another blow to Armenian diplomacy," the expert said. Guliyev went on to say that the efforts of the President of the Armenian National Assembly in this direction, apparently, were also not crowned with success. He also said that it is no coincidence that the events dedicated to Khojaly in the German parliament and discussions on security in the Caucasus were held at the same time as the meetings with the President of the Armenian National Assembly. This is one of the manifestations of Azerbaijan’s diplomatic superiority over Armenia, he added. "This fact once again demonstrates that Armenia’s attempts to achieve recognition of the results of its aggressive policy have been completely exposed," the expert noted.